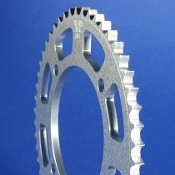 Our Products >> Custom build rear sprocket, Blanks, Race wheels. >> 0920 BST / Marchesini race wheel sprockets, 520 or 530 chain. 0920 BST / Marchesini race wheel sprockets, 520 or 530 chain.